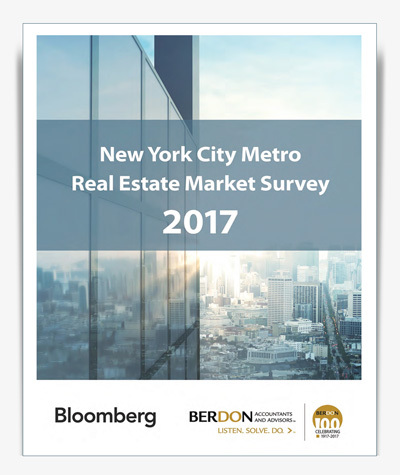 Berdon 2017 NYC Metro Real Estate Market Survey. The 2017 New York City Metro Real Estate Survey report provides insight into market trends and expectations of real estate executives about today’s real estate market, including parts of New York, New Jersey, Connecticut, and Northern Pennsylvania. The survey focuses on current behaviors, expectations, and opportunities available to companies that own or lease real estate holdings in the region. Please fill out this form to download the 2017 NYC Metro Real Estate Market Survey Report.